Atul Adya, Victor Bahl, and Lili Qiu. Characterizing Web Workload for Mobile Clients. Invited book chapter in Content Networking in the Mobile Internet, John Wiley & Sons. August 2004. 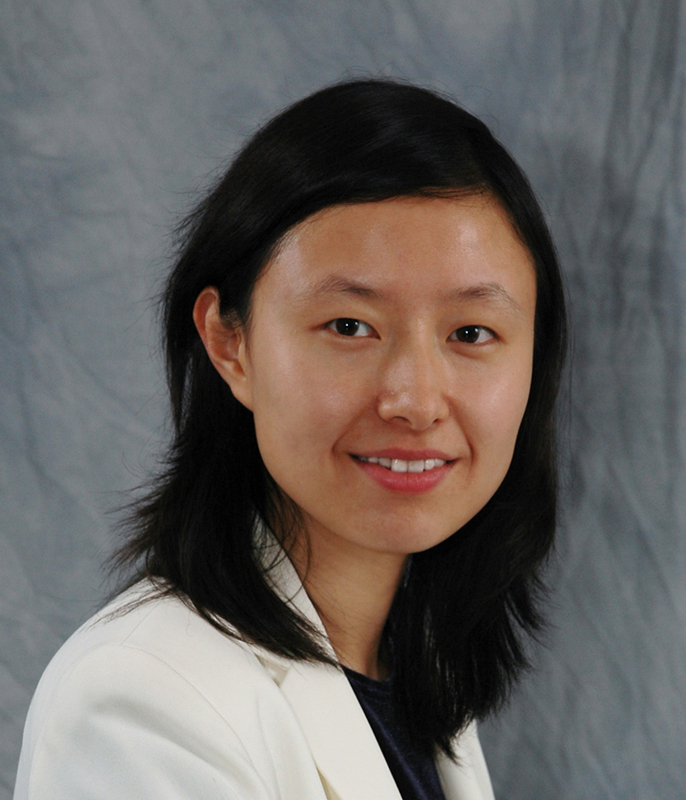 Qiu's research interests include wireless network management, mobile system, network optimization, and network measurement. - ACM Distinguished Scientist, 2013. - Google Faculty Research Award, 2013. - Faculty Fellowship in Computer Science, The University of Texas at Austin, 2008-2016. - National Science Foundation Faculty Early Career Award, 2006 - 2011. - IEEE Senior Member, 2007. - CRMA: Collision-Resistant Multiple Access. Best paper award finalist at ACM MobiCom 2011. - Yi-Chao Chen, Lili Qiu, Yin Zhang, Zhenxian Hu, Guangtao Xue. Robust Network Compressive Sensing. In Proc. of ACM MobiCom, 2014. - Swati Rallapalli, Aishwarya Ganesan, Krishna Chintalapudi, Venkat Padmanabhan, Lili Qiu. Tracking Physical Browsing in Indoor Spaces. In Proc. of ACM MobiCom, 2014. - Sangki Yun, Daehyeok Kim, Lili Qiu. Fine-grained Spectrum Adaptation in WiFi Networks. In Proc. of ACM MobiCom, Sept. 2013. - Tianji Li, Mi Kyung Han, Apurv Bhartia, Lili Qiu, Eric Rozner, Yin Zhang, and Brad Zarikoff. CRMA: Collision-Resistant Multiple Access. In Proc. of ACM MobiCom, Las Vegas, NV, Sept. 2011 (Best paper award finalist). - Predictable Performance Optimization for Wireless Networks. ACM SIGCOMM, Seattle, WA, August 2008. - CRMA: Collision Resistant Multiple Access. ACM MobiCom, Las Vegas, NV, Sept. 2011. - Interference-Aware Wireless Network Management. Keynote, IEEE IPCCC, Austin, TX, December 2008. - A General Model of Wireless Interference. ACM MOBICOM, Montreal, Canada, Sept. 2007. - NetQuest: A Flexible Framework for Large-Scale Network Measurement. ACM SIGMETRICS, Saint-Malo, France, June 2006. - Lili Qiu and Yin Zhang. Vehicular content distribution. US Patent 8,542,636. Issued on Sept. 24, 2013. - Yin Zhang and Lili Qiu. Method and system for resilient routing reconfiguration. US Patent 8,477,597. Issued on July 2, 2013. - Yin Zhang and Lili Qiu. Method and apparatus for spatio-temporal compressive sensing. US Patent 8,458,109. Issued on June 4, 2013. - Lili Qiu, Kamal Jain, Ranveer Chandra, Mohammad Mahdian. Method for determining placement of internet taps in wireless neighborhood networks. US Patent 8,315,196. Issued on Feb. 17, 2004. - Zhuoqing Morley Mao, Lili Qiu, Jia Wang, Yin Zhang. Method and apparatus for inferring network paths. US Patent 8,155,126. Issued on Nov. 30, 2005. - Atul Adya, Paramvir Bahl, Ranveer Chandra, Lili Qiu. Collaboratively locating disconnected clients and rogue access points in a wireless network. US Patent 8,086,227. Issued on Nov. 15, 2007. - Kamal Jain, Jitendra Padhye, Venkata N. Padmanabhan, and Lili Qiu. Model and method for computing performance bounds in multi-hop wireless networks. US Patent 7,860,506. Issued on Nov. 18, 2008. - Kamal Jain, Paramvir Bahl, Lili Qiu, Vahab Mirrokni, Mohammadtaghi Hajiaghayi, Amin Saberi. Wireless LAN cell breathing, US Patent 7,715,353. Issued on May 11, 2010. - Yi-Min Wang, Qixiang Sun, Daniel Simon, Wilfred Russell, Lili Qiu, Venkata N. Padmanabhan. System and method for evaluating and enhancing source anonymity for encrypted web traffic. US Patent 7,640,215. Issued on December 29, 2009. - Paramvir Bahl, Lidong Zhou, Lili Qiu, Ananth Rajagopala Rao. Methods and systems for removing data inconsistencies for a network simulation. US Patent 7,613,105. Issued on November 3, 2009. - Lili Qiu, Paramvir Bahl, Lidong Zhou, Ananth Rajagopala Rao. What-if analysis for network diagnostics. US Patent 7,606,165. Issued on October 20, 2009. - Atul Adya, Paramvir Bahl, Ranveer Chandra, Lili Qiu. Detecting and diagnosing performance problems in a wireless network through neighbor collaboration. US Patent 7,603,460. Issued on October 13, 2009. - Lili Qiu, Paramvir Bahl, Lidong Zhou, Rajagopala Rao. Fault detection and diagnosis. US Patent 7,583,587. Issued on September 1, 2009. - Kamal Jain, Jitendra Padhye, Venkata N. Padmanabhan, and Lili Qiu. Model and method for computing performance bounds in multi-hop wireless networks (II). US Patent No. 7,469,143, Issued on December 23, 2008. - Venkata N. Padmanabhan and Lili Qiu. Method and system for identifying lossy links in a computer network -- Linear Optimization. US Patent No. 7,421,510. Issued on September 2, 2008. - Kamal Jain, Jitendra Padhye, Venkata N. Padmanabhan, and Lili Qiu. Model and method for computing performance bounds in multi-hop wireless networks. US Patent No. 7,409,217. Issued on Aug. 5, 2008. - Lili Qiu, Paramvir Bahl, Atul Adya. Adaptive allocation of last-hop bandwidth based on monitoring of end-to-end throughput. US Patent No. 7,363,375. Issued on May 13, 2002. - Venkata N. Padmanabhan and Lili Qiu. Method and system for identifying lossy links in a computer network -- Random Sampling. US Patent No. 7,346,679. Issued on Mar. 18, 2008. - Lili Qiu, Victor Bahl, and Atul Adya. Adaptive allocation of last-hop bandwidth based on monitoring of end-to-end throughput. US Patent No. 7,330,893. Issued on Feb. 12, 2008. - Atul Adya, Victor Bahl, Ranveer Chandra, and Lili Qiu. Collaboratively Locating Disconnected Clients and Rogue Access Points in a Wireless Network. US Patent No. 7,317,914. Issued on Jan. 8, 2008. - Yi-Min Wang, Lili Qiu, Chad E. Verbowski, Dimitrios Achlioptas, Gautam Das, and Paul Larson. Summary-based Routing for Content-based Event Distribution Networks. US Patent No. 7,200,675. Issued on Apr. 3, 2007. - Yi-Min Wang, Qixiang Sun, Daniel R. Simon, Wilfred Russell, Lili Qiu, and Venkata N. Padmanabhan. System and Method for Evaluating and Enhancing Source Anonymity for Encrypted Web Traffic. US Patent No. 7,096,200. Issued on Aug. 22, 2006. - Elected officer: Vice Chair for SIGMOBILE, 2013 -- 2017. - Elected officer: Treasurer for SIGMOBILE, 2009 -- 2013. - Technical program co-chairs for IEEE ICNP 2016, ACM MobiCom 2012, SECON 2011, WICON 2006. - General co-chairs for IEEE ICNP 2012, WICON 2007. - Associate Editor for IEEE Transactions on Mobile Computing, 2009 -- present. - Associate editor for IEEE/ACM Transactions on Networking, 2012 -- present. - TPC members for ACM SIGCOMM, ACM MobiCom, ACM MobiHoc, USENIX NSDI, IEEE INFOCOM, IEEE ICNP, IEEE ICDCS etc.